Covers the Java language from the ground up as well as the AWT including threads, layout managers, exceptions, event handling, data structures, input and output, and a lot more. Brewing Java is a comprehensive introduction to Java for programmers. It covers the Java language from the ground up as well as the AWT including threads, layout managers, exceptions, event handling, data structures, input and output, and a lot more. This tutorial shows you how to write full-featured, dynamic, graphical, interactive Java applets and applications, even if you don't have experience with other object-oriented languages. 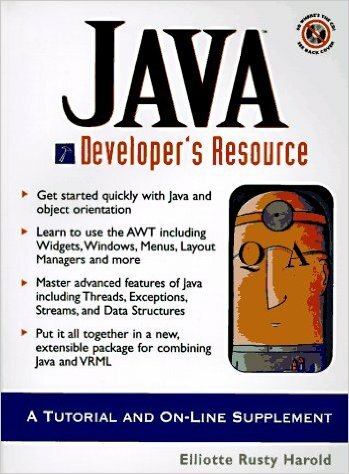 This tutorial has grown into a book called The Java Developer's Resource, available from Prentice Hall. It's now out of print, but the examples and exercises from that book are also available online and may be of use. For more details about The Java Developer's Resource including the plans for a second edition see the Java Developer's Resource page. 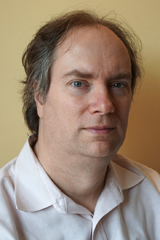 Software developer, nature photographer, and writer of computer books and short fiction; speaker at conferences; trainer of developers at numerous corporations including Google, Bank of America, Verizon, Columbia Presbyterian Hospital, and Hoffman-LaRoche.